I just received yet another message from a follower asking for my thoughts on the future of Lexar. Instead of responding to all the email messages, I thought I would interrupt the Costa Rica blog posts for a moment and address this publicly. About 3 months ago, Micron (the parent company of Lexar for the last 10 years) announced that they were shutting down the Lexar division, and that unless it was sold, the brand would go away forever. Even though I had left the company more than a year ago to dedicate myself full-time to my photography, as someone who spent 12 years of my life as Director of Marketing for Lexar, it was a shock to think that the brand would go away completely. Soon after the announcement, I started hearing talk about potential buyers of the brand. As you can imagine, I have kept in close contact with the people at Lexar, and have been curious as to the outcome of the company. I heard about potential buyers and all the details of layoffs. It was a crazy time over there! Well...here we are at the beginning of September and the announcement of a purchase was made a couple of days ago. 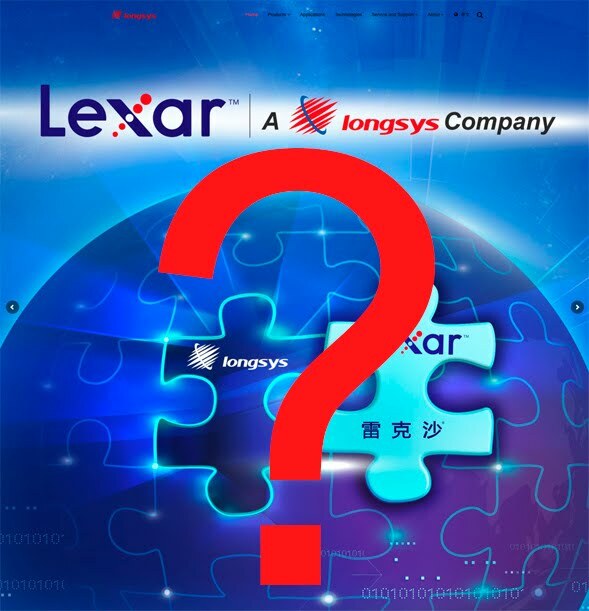 A Chinese company called Longsys (who I had never heard of) has purchased the Lexar brand. Q. What do I think of the sale to Longsys? A. I don't know much about Longsys, other than the fact that they do make flash memory products under their own name and for other companies. They do not make their own memory so they source the memory chips from other companies, like Micron, Hynix, Toshiba and others. 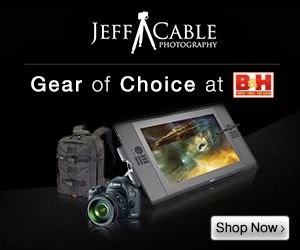 It appears that they make consumer products but not professional grade products like the Lexar cards I use today. Longsys does not have any CFast, CF or XQD cards in their portfolio. Q. What do I think Longsys will do with the Lexar brand? A. It appears that Longsys is purchasing the Lexar brand name, which for a company with no little or no brand equity outside of China, could be a good thing for them. But I sure hope they make great products, because I would hate to see the Lexar name get tarnished. Q. What are the biggest challenges for Longsys and the Lexar brand moving forward? A. Longsys is mostly an OEM company and does not have any experience in the retail space. And the retail market is a really tough place to play in. If any of you watch "Shark Tank" on TV, you will constantly hear the Sharks tell entrepreneurs that retail is expensive and cut throat. For all the years I was at Lexar, it was a grind trying to keep up the sales momentum and stay in the retail accounts. But now, many of the mass resellers have already abandoned the Lexar brand and looked for other brands to replace them on their store shelves. It will be a very tough climb to get back into these accounts. If you go to Lexar.com today, it is basically gone. It is tough to bring all this back to full speed after idling for months. Longsys has a tiny office here in the U.S. with 2 or 3 people and as of now, they are only hiring a handful of the previous Lexar employees. They have not offered positions to anyone from the marketing department, engineering department or lab. I have no idea how they plan to design, build, package and sell the products without a large staff of people. Lexar had more than 100 people dedicated to the products. They may be offering more jobs to the previous employees. Only time will tell. Q. Will I continue using Lexar products in the future? A. As much as it pains me to say it, I am not sure that I see myself using Lexar moving forward. Ouch - that really does hurt! Even though Longsys has purchased whatever inventory was left at Lexar, I don't see them being able to ramp up products quick enough to deliver CFast and other cards to me when I will need them. And the all the people in the engineering team and testing lab have been let go, so I question the design quality of their products moving forward. To be fair, I do not know much about the Longsys engineering team, so I could be wrong here. They may be able to deliver fine consumer products for the mass market, but building the highest quality professional products is one tough and expensive business. The most valuable piece of Lexar (before this sale) was the high level of engineering, testing, and support. For a company with little or no retail experience, I have no idea how they could continue that. And this is critical to me as a professional photographer. Q. What is the biggest hole that will be left for photographers? A. For many years I have spoken highly of Lexar and SanDisk cards, since they are the highest quality. But I have always been definitive when it comes to memory card readers. Lexar made the best! I am not sure what will happen to the readers not that Longsys has purchased Lexar, but someone needs to make great readers like the Lexar HR2. I have even called friends at SanDisk and given my two cents worth about this. I am not a huge fan of their readers and think they could do a much better job with their offerings. Oh and for all you Nikon shooters who rely on XQD cards, your only choice right now is to buy the Sony XQD cards. And having only one choice for a card supplier isn't always the best situation. Q. If I don't use Lexar, what brand will I use? A. For me, this is the burning question. At this point, I have not made a final decision, but I am investigating the options. The logical choice would be to use SanDisk products, since they are the largest supplier and have all the memory card formats I would need. But there are some other things happening (which I can not talk about yet) that are making me pause. and Longsys may surprise me and build some great products and keep the Lexar brand to the quality levels we are used to. I guess you (and I) will have to wait a little longer as I see how things unfold and weigh the options.